In this third episode, the question “Who is the Night Man?” gets asked and almost answered, and Night Man faces a new foe. It’s the first appearance of the NAME Rhiannon…but not the first appearance of the character! It’s the sixth episode of ULTRAVERSE PODCAST: PRIME OF YOUR LIFE! In this very special episode, we share an audio adaptation of Freex #1 from the CD-Romix! Happy New Year! What did you think of the show? Send questions or comments to: UltraverseNetwork@gmail.com. We’d love to hear from you! 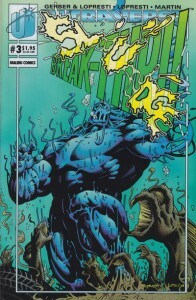 On Ben’s other comic book podcast, he tackles the topic of Sludge, covering the first three issues of Steve Gerber’s Sludge, exploring the themes, stories, differences between Sludge and Man-Thing, and, of course, the way that Sludge fits into the Ultraverse’s first big crossover event, Break-Thru! 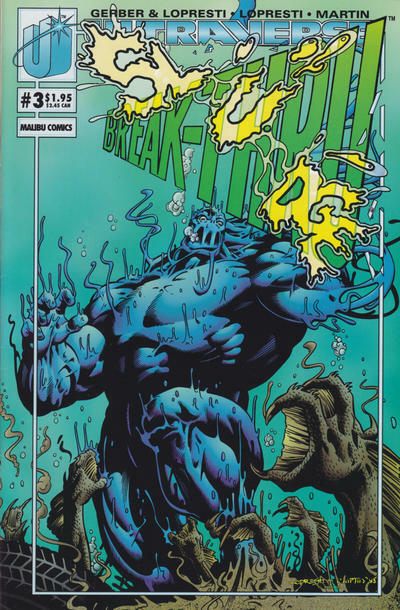 It’s the fifth episode of ULTRAVERSE PODCAST: PRIME OF YOUR LIFE! In this very special episode, we share an audio adaptation of Hardcase #1 from the CD-Romix! Happy Holidays! Next week: The CD-Romix adaptation of FREEX! It’s the third episode of ULTRAVERSE PODCAST: PRIME OF YOUR LIFE! In this very special episode, we share an audio adaptation of Prime #1 from the CD-Romix! Hope everyone had a very happy Thanksgiving! Next week: The second episode of WRATH OF ALADDIN PODCAST! It’s the second episode of ULTRAVERSE PODCAST: PRIME OF YOUR LIFE! In this episode, co-hosts the Irredeemable Shag and David continue their coverage of #1 issues, featuring: Firearm, Prototype, Solution, Night Man, Sludge, and Solitaire! Plus, we read some of your Ultra-Feedback on the air! Next week: The second episode of THE NIGHT MAN PODCAST! The Ultraverse Network proudly presents the inaugural episode of … ULTRAVERSE PODCAST: PRIME OF YOUR LIFE! In this episode, co-hosts the Irredeemable Shag and David provide a brief publishing history of Malibu’s Ultraverse, and review these #1 issues: Prime, Hardcase, The Strangers, Freex, Exiles, and Mantra! You can find the first episode of ULTRAVERSE PODCAST: PRIME OF YOUR LIFE on iTunes as part of the ULTRAVERSE NETWORK feed. Subscribe and leave a rating and review in iTunes! Thanks for listening! Next week, the first episode of The Night Man Podcast!